The Ulster Farmers’ Union says it welcomes clarity from the Department for Exiting the European Union on the use of Article 24 of the General Agreement on Tariffs and Trade (GATT) in a no deal situation. 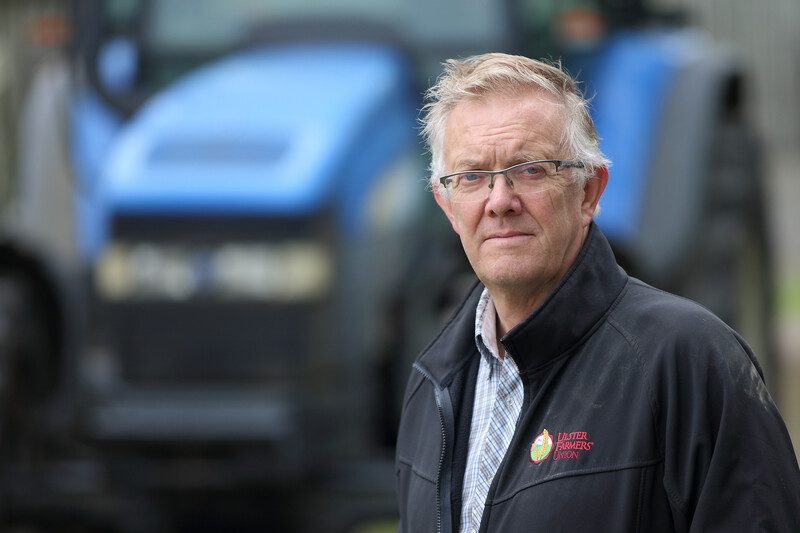 UFU president, Ivor Ferguson, said there has been much confusion amongst farmers as some Brexiteers peddle this as the solution to trade and tariffs in a no deal situation. “The people promoting Article 24 of the GATT have misunderstood the rules,” he said. The Secretary of State for International Trade, Liam Fox, has already outlined to the House of Commons why Article 24 could not be used to maintain tariff-free trade as an alternative to the negotiated agreement in a no-deal scenario. “Mr Fox has already made clear there are significant reasons as to why Article 24 would not work. First, it requires the agreement of the EU based on the expectation of a future trade agreement or customs union to be operable in WTO law. In the political fall-out of a no-deal Brexit, it will be very difficult to generate the goodwill necessary to achieve this. Secondly, it does not deal with regulatory issues – the non-tariff barriers – which are crucial for agri-food,” said Ferguson. The GATT is the legal basis for the WTO. Essentially, Article 24 allows WTO members to apply a provisional customs union or arrangement as part of a transition toward a future agreement. The parties may therefore mutually agree to impose no tariffs or customs checks until such a time that their long term agreement comes into force – estimated to be typically a maximum of 10 years. The conditions during this period must impose no new additional barriers than the current situation between the parties – they can only be lowered. “The EU and UK currently have no tariffs and no customs checks. However, our future trading relationship with the EU will incur more friction. If there was an agreement to maintain the status quo under the provisions listed in Article 24, we could only do so if the future relationship delivered the exact same removal of barriers as now. This is something the EU is very unlikely to agree to. They have made it very clear the future EU-UK trading relation cannot deliver the same lack of barriers that are currently afforded through EU membership,” said Ferguson. The UFU has consistently said a no deal Brexit is the worst possible outcome for Northern Ireland’s farming industry. “These are the facts, pure and simple. A no-deal Brexit will have disastrous consequences for Northern Ireland’s farming industry. We respect the referendum result. Our interest lies solely in ensuring there is a future for family farm businesses in Northern Ireland,” said the UFU president.